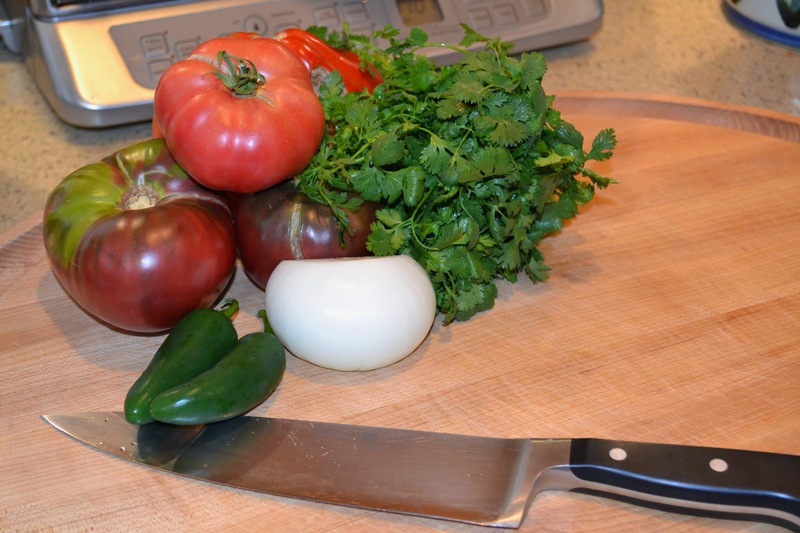 It is tomato season here in the South and so we are looking for ways to use the fresh home grown tomatoes that we suddenly have in abundance. 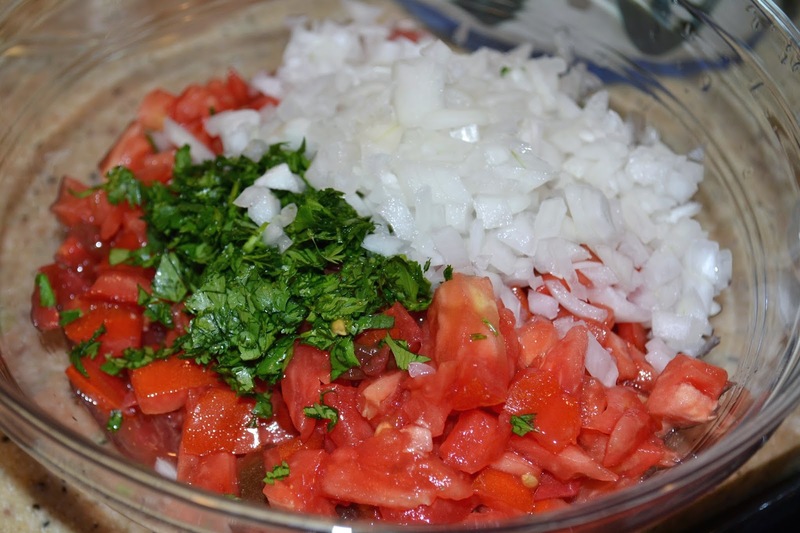 What better use than fresh Pico de Gallo to add some spice to a quiet Friday evening on the patio? A cold Corona, a lime, and some Salsa Fresca. 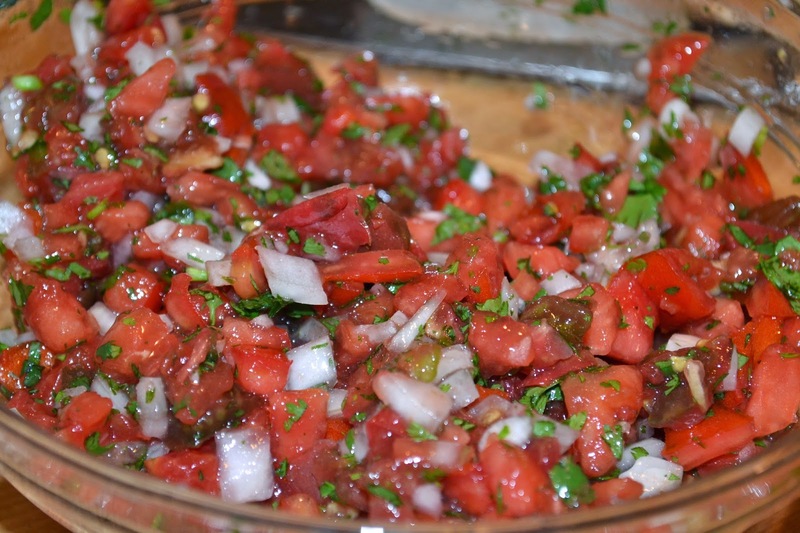 We used the Pico de Gallo recipe in Bon Appetit and made a few variations. Did I mention we had a lot of tomatoes? Probably going to want some lime juice. We will chop and combine. I would recommend the yacht rock iTunes radio station for this effort along with a Corona and that crucial lime slice majestically perched atop this dose of Mexican perfection. Get to chopping. Go easy on the Corona until the knife work is complete. 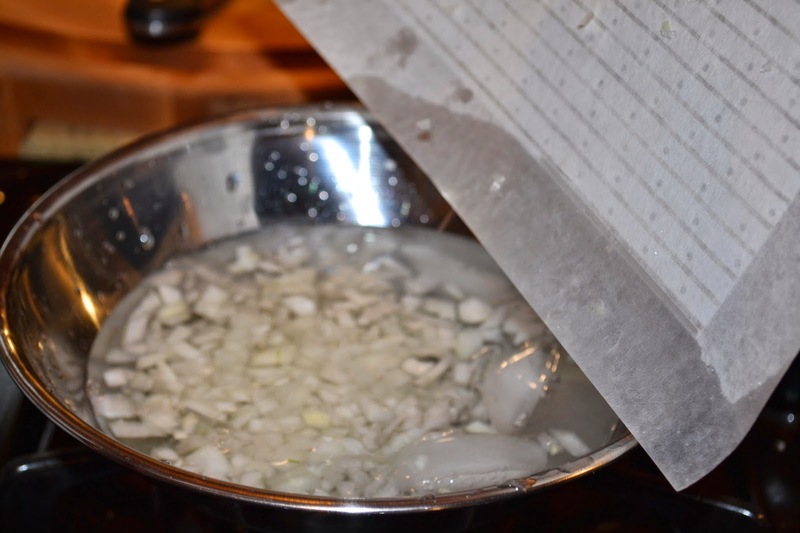 Place the onion in cold water with a few ice cubes to rinse. 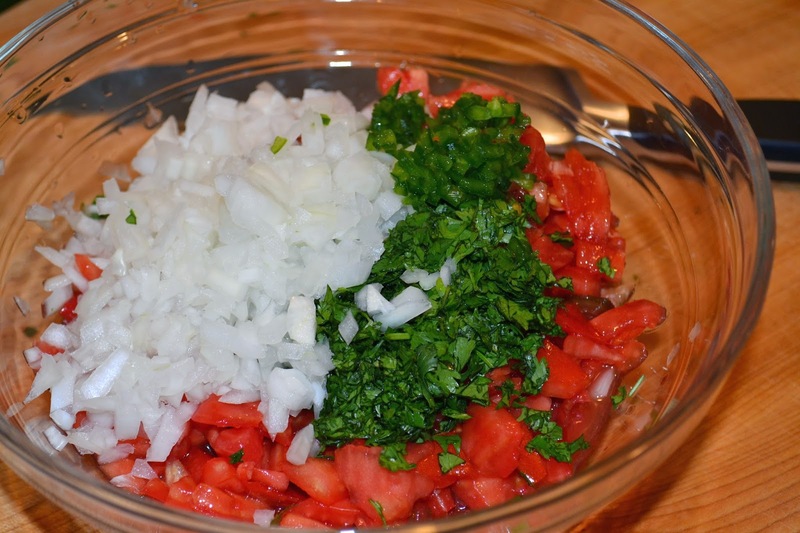 Chop up the tomatoes and drain. Be cautious with the jalapeño. We made two batches, one with and one without. The one that included jalapeño was very spicy. Good for me, not for her. Mix it up, salt to taste and we added a little lime juice to add a little acid. 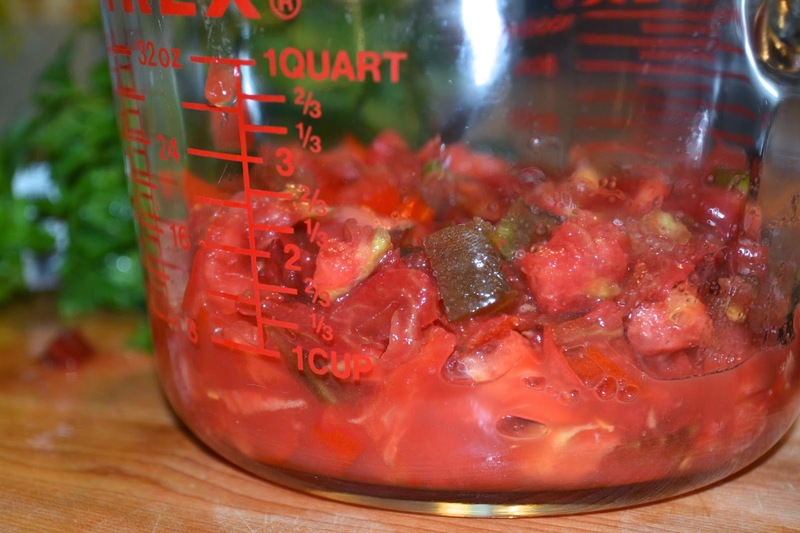 A great summertime treat and equally great method to use some of the tomatoes that we have. This recipe included a mixture of Cherokee Purple and Heart of the Ox (A french variety). This was delicious and very fresh tasting. 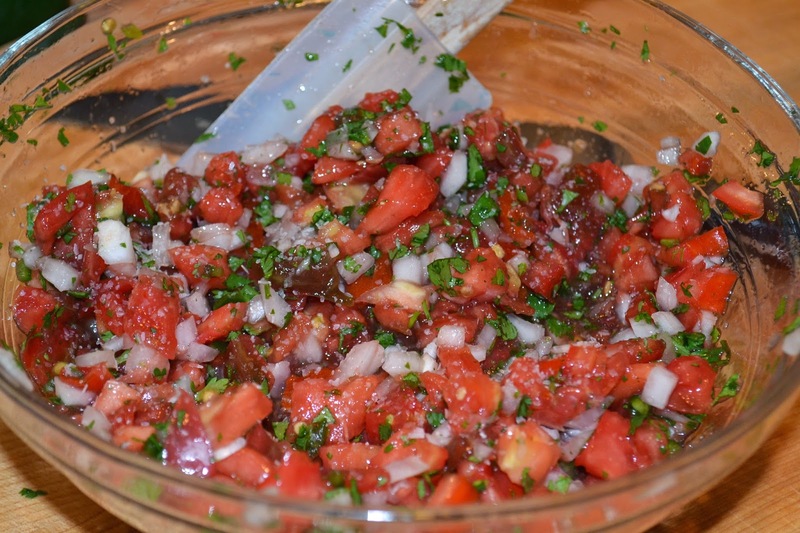 A crowd pleaser that is a wonderful addition to just about any latin dish or even on your eggs the next morning.